BYU’s win over McNeese on Sept. 22 included a questionable hit made by a McNeese player down the sideline. BYU wide receiver Dax Milne was running to grab a Tanner Mangum pass near the end zone and got hit hard by a McNeese defensive back, helmet-to-helmet. Initially, the play was ruled as targeting, and the McNeese player faced possible ejection. After the play was shown on the jumbotrons, fans cheered for the referees after the targeting call. After reviewing the play and returning to the field, the referees reversed the call. They received ample boos from the crowd for this revision. Referees often air on the side of caution regarding targeting calls. After the game, head coach Kalani Sitake was asked about the questionable call and his thoughts about the penalty. Rather than commenting on the referees and his opinion on the call, he talked about the targeting penalty in general and his opinion about how the penalty functions. “Targeting should be like unsportsmanlike conduct where you get warned,” Sitake said. Players who receive an unsportsmanlike conduct penalty are not immediately ejected. Players can receive up to two unsportsmanlike penalties before ejection. Sitake said a penalty and a warning should be given to a player who targets before they are ejected. “I’m OK with getting a penalty, but I don’t know if you should cut kids’ playing time. Give them a warning and let them have another shot at it,” Sitake said. According to Sitake, the targeting penalty should act like an unsportsmanlike conduct penalty, acting as a warning to not target again. 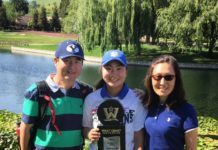 College players’ playing time is very limited over their college careers, and Sitake made it very clear he values his players’ opportunity to maximize their time on the field. After a player is ejected from a game in which they target, they also have to miss the first half of the following game. It can add up to a substantial amount of time off the field. Two years ago in a game at Utah, BYU defensive back Kai Nacua was ejected from the game due to a targeting call. It was unclear if he even touched heads with the Utah wide receiver he hit — a major focal point of calling a targeting penalty — and was ejected from the game. He had two interceptions before being ejected, and the Cougars went on to lose the game by a single point. The targeting penalty has been around for a few years, but the automatic ejection after targeting came to fruition in 2013. The NCAA football rule book describes targeting as any “forcible contact with the crown” of the helmet. The rule also includes forcible contact in the head or neck area of any defenseless player. Lee Dorsett, high school football coach of 20 years, said he feels the targeting penalty may compromise the foundation of what football is built upon. This penalty has changed the dynamic of the game in college and how many players tackle in their games. Former football player Cameron Harris experienced various concussions in athletics. He described what it is like to have a concussion and how it can affect everyday life. Although Harris received some of his concussions from other sports beside football, the NCAA is attempting to keep players from receiving these types of injuries. “We are willing to give an excuse to the guy with a planned celebration but we won’t for a guy that makes a mistake. 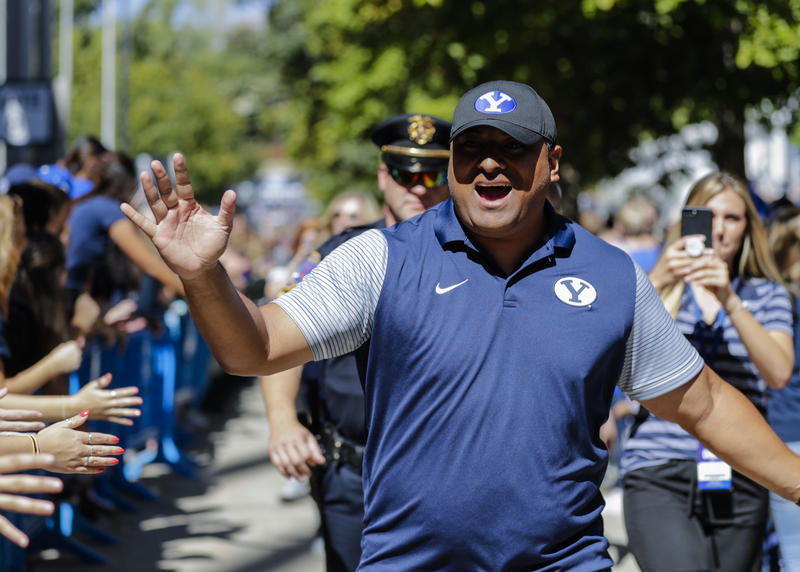 No one is trying to hurt anybody here,” Sitake said. His view takes a different approach on how to handle helmet-to-helmet contact in college football. He also expressed that a warning given to a player may help them play differently throughout the game. “I think they might play a little softer and be a bit more mindful of the hits,” Sitake said.